Cordless technology provides incredible freedom of movement without sacrificing size, power or the level of suction and pick-up performance. 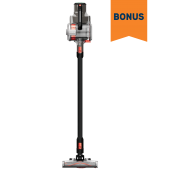 The VAX Cordless Blade 2 Max vacuum gives you the freedom to efficiently clean your floors without having to continually plug and unplug your machine. Featuring a combination of smart technology and handy features, this high-performance cleaning machine is powered by a lithium-ion battery. 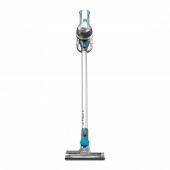 It’s designed to last up to 45 minutes at a time so you can clean your floors in one go. Introducing the Vax Blade Pet SlimVac. With a combination of smart technology and handy features, this cleaning machine delivers powerful performance, making it ideal for homes with pets. Looking for a cordless stick vacuum cleaner that has plenty of run time and power so you can get all your vacuuming done in one session? 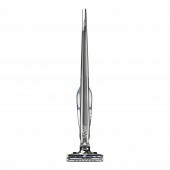 The Vax Blade SlimVac offers up to 35 minutes of fade-free power thanks to its efficient lithium battery technology. Want a cordless vacuum cleaner that can do it all? 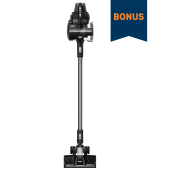 With its powerful performance and integrated detachable handheld vacuum, the Vax SlimVac 2-in-1 vacuum offers a complete cleaning solution for your floors, furniture and vehicles. 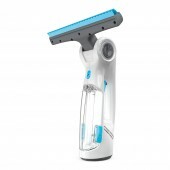 The Vax Spray & Vac is a cordless handeld window vacuum, ideal for cleaning showers, windows, mirrors and tiles around your home. 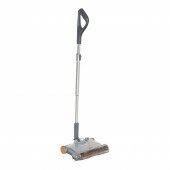 Keep your home free of pet hair and dust with the Vax Revolution Sweeper. The rotating brush bar lifts hair, dander and dust from your carpet, so the entire household (both two-legged and four-legged residents) can enjoy a clean, comfy space.